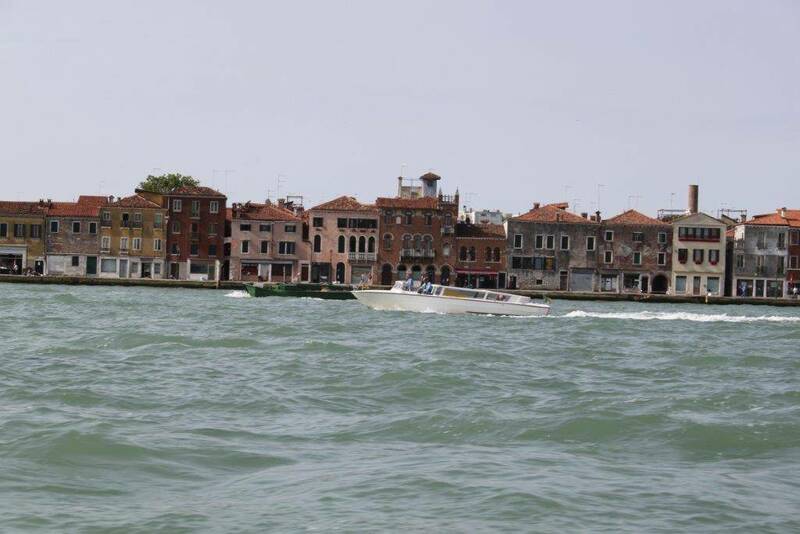 Venice shuttle is a fast-shared boat service from Marco polo airport to Venice center and vice versa. Clients will experience the pleasure of reaching the hotel comfortably and quickly, travelling on a water taxi admiring Venice and avoiding the overcrowding of public transport but at a very convenient rate. 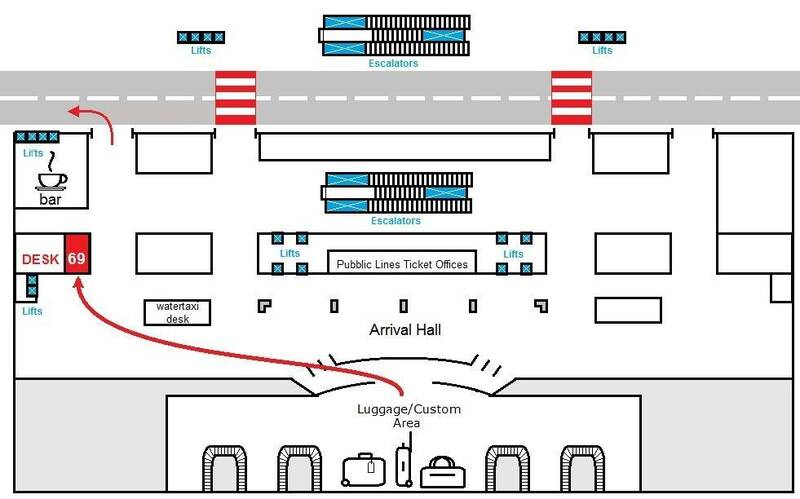 Clients shall show-up at our desk (n. 69) which is located in the arrival hall at the left side of the exit. Clients must show up at our desk and hand over their voucher. From arrival lounge to water taxi, there is a short walking distance (7 mins approx.). The shuttle boat leaves from the airport once or twice an hour in accordance with the arrival flights. Clients will share the water taxi together with other customers and will be transferred – directly or with other stops – to their hotel nearest mooring point. 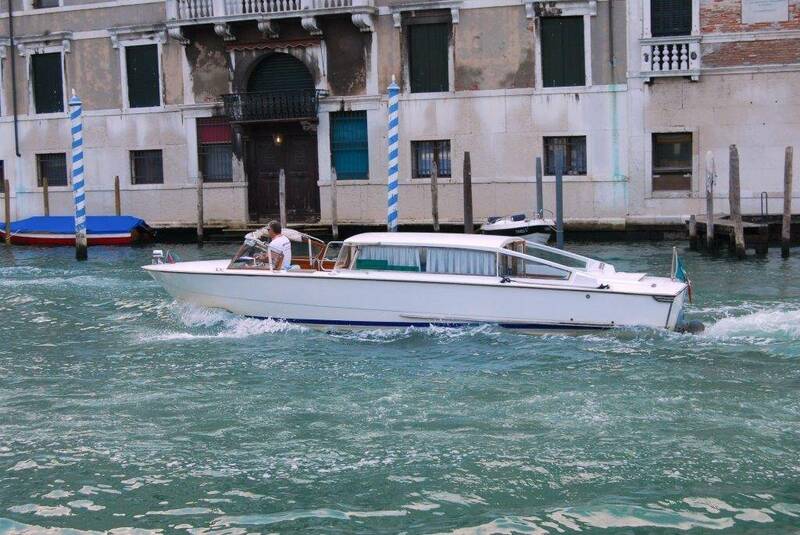 Once in Venice clients reach the hotel on their own. At the airport clients will be handed a plan for reaching the hotel. One day prior their departure, clients will receive at their hotel a written pick-up as confirmation of their transfer. The shuttle boat leaves to the airport approximately once an hour, in accordance with the departure flights. Clients will share their taxi boat together with other customers and will be transferred – directly or with others stops – to the airport. the pickup time will be approx. 3 and a half hours before the flight. Clients are required to show up at the foreseen meeting point 10 minutes before the departure. For assistance please don’t hesitate to contact us! It is compulsory that clients communicate to us the same name and surname that they give to the hotel otherwise they will not receive the pickup information for the return transfer. The service must be pre-booked and Clients have to hand over the voucher where the service is clearly described. Please note that in case of particular weather conditions, traffic congestion or restrictions to navigation imposed by the Venetian Municipality in occasion of special events, the service will be guaranteed with the least inconvenience possible through a different route and pick-up and/or drop-off points may change (if so, Venice Tours will advise Clients about the change) – In case of services operated via Piazzale Roma Car Terminal the transfer from Piazzale Roma to the Airport or vice versa will be operated by minibus without any extra cost. 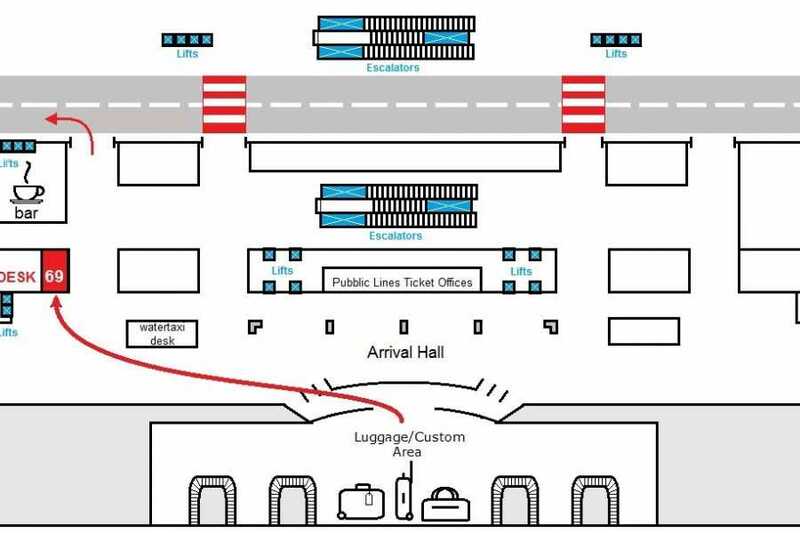 Meeting point from Airport: Clients should show up at desk (n. 69) which is located in the arrival hall at the left side of the exit as per map below. (See the map in the gallery). Meeting point TO Airport: the nearest mooring point of client hotel. The day before the departure we will send an e-mail to the client’s hotel with all the details (pick-up time and meeting point). Departure and meeting: Every day - From airport to Venice every day from 8.30 am to 10.00 pm: flights due from 07:30 am to 09:10 pm- last shuttle from airport 10:00 pm. Travel time: 1 hr. approx. Cancellation: Bookings can be cancelled with no charge up to 48 hours before the service -Total amount of service will be charged for later cancellations or no-shows. 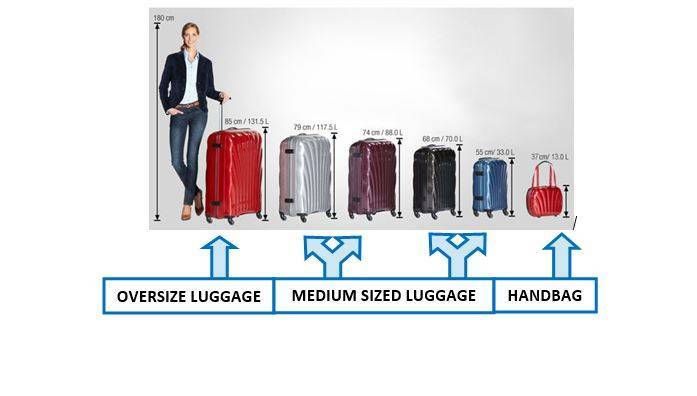 LuggageRate includes: MAXIMUM 1 PIECE of MEDIUM SIZED LUGGAGE per person. 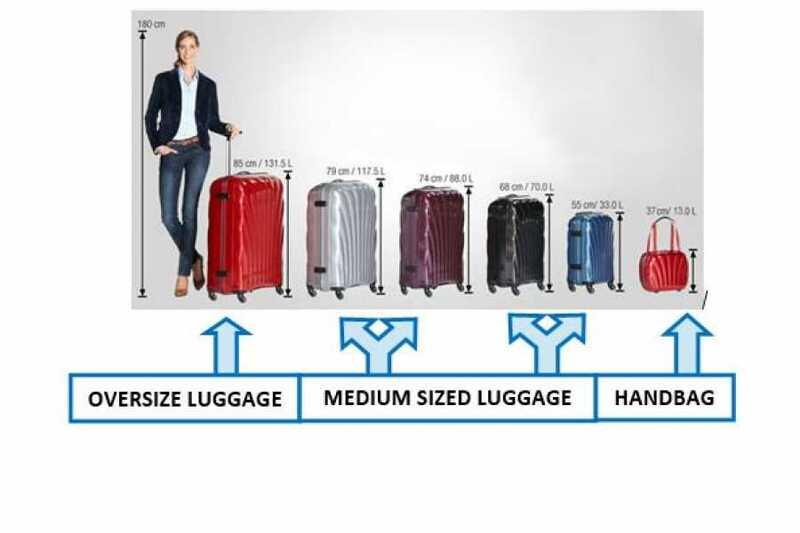 It's included also one baby stroller and one small dog. It's included also a map with details of disembarkation area in the city centre. Unfortunately, this service is not accessible for wheelchair users or people with walking disabilities. In addition to passenger’s names, all information about arrival and/or departure flight (arrival/departure date and time, flight number, flight origin and/or destination) and the name of the Hotel where Customers are staying MUST BE PROVIDED at the moment of the booking. The departure of the shuttle cannot be postponed depending on flight arrival In case of flight delays on arrival, Clients can catch a later shuttle if there is availability – The last shuttle is departing from the Desk by 10:00PM (flights landing by 9.10PM approx.) – In case of flights landing later or being delayed, Clients could miss the shuttle and the service will not be refunded. Our desk is open from 08.30AM to 8.00PM. In case of flights landing earlier or later, Clients will find at desk n. 69 a sign with direction to be met by the representative on-duty. Waiting time for arrival services: from your arrival at our desk in the Airport you may have to wait from 20 up to 45 minutes. For general conditions refer to our brochure “Discovering Venice” (except cancellation Terms above described).